...I sure hadn't until a couple days ago when Melissa from In Her Boots shared on her blog. Blogilates is the name of a blog written by Cassey a pilates and fitness instructor, so you can correctly assume the the blog focuses on pilates. I have always loved hard cardio workouts involving a lot of movement and have worked out regularly, even through pregnancy I was running around the track, hitting the stair master and zumba-ing up until my water broke. After Gabriel was born it was harder for me to get to the gym plus I knew I wasn't going to have reasonable gym access when I moved to Japan so I purchased the Insanity program. Unfortunately due to apartment living and not wanting to irritate my neighbors I didn't get into Insanity until about a month ago when people started to head home. I learned that I don't really enjoy intense cardio anymore! Mommyhood has made me tired and it isn't that I don't want to work out, I just want it to be more relaxing than in-your-face. I'm sure I'm going to enjoy my fitness classes when I get back to the YMCA but the last thing I want during baby's nap time is someone yell at me through a TV to jump faster and higher! Okay so Shaun T doesn't really yell or scream at you but he is intense. I've tried pilates many times but never quite got into it because it felt too slow for my taste. When I saw the FREE fitness calendar Melissa shared (that Cassey created) filled with Pilate exercises I almost wrote it off, but because baby was asleep and I wanted a workout that didn't involve someone yelling I figured I'd try it. I think pilates might be my new thing! I'm only a couple days in but so far I've really enjoyed getting a nice little workout during nap time that works and strengthens my muscles while also calming me down- feels like the best of both worlds! It's also nice not worrying about waking the baby while I get some exercising in. Did you catch that this is free? I love the convenience of it! When you visit Cassey's site the calendar is broken down into well organized hyperlinks that take you to fitness videos that she created. What I love most about the Insanity program is the same with this program in that no equipment is required. We'll see if I keep enjoying it throughout the month's program but for now I really do like it and find Cassey's bubbly and quirky personality a nice change of pace from Shaun T.
Are you using any at home workout programs right now? Which ones do you enjoy? I'll have to look into that program! Calm is my new thing. Way too much indeed. Thanks for stopping by! Heading over to see you! I think she has such a fun personality and I like her workouts! I saw that she has a DVD! For now the beginner program is challenging enough for me. :) Glad to hear a good review of the DVD! I imagine I'll be thinking more seriously of purchasing it once I've finished the beginner's month. Thanks! 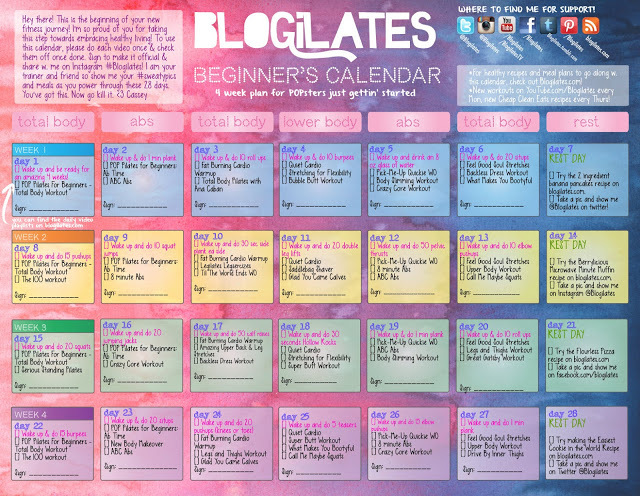 Oh I'm definitely going to have to check out Blogilates!! Thanks for your awesome input on my 50's housewife post- I totally agree! 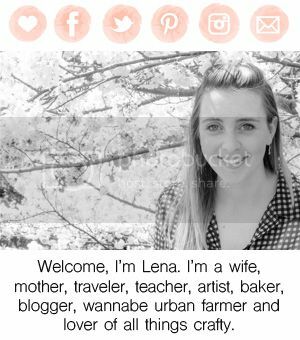 I'm following you via Bloglovin and can't wait to read more!